We live in a mobile world. Most of us rely on smartphones, tablets, and wearables for everything from shopping to tracking steps to keeping in touch with mom. Mobile devices are also central to how businesses connect with their customers and employees, and companies around the world are building more and more apps to stay ahead of the competition. Given the ever-increasing use of Apple devices in the enterprise, the iOS operating system has become the platform of choice for many of these apps. Topcoder—and our parent company, Appirio—announced last year that we’re working with Apple to close this gap by providing enterprises the guidance and expertise they need to create high-quality iOS apps that take full advantage of Apple devices. 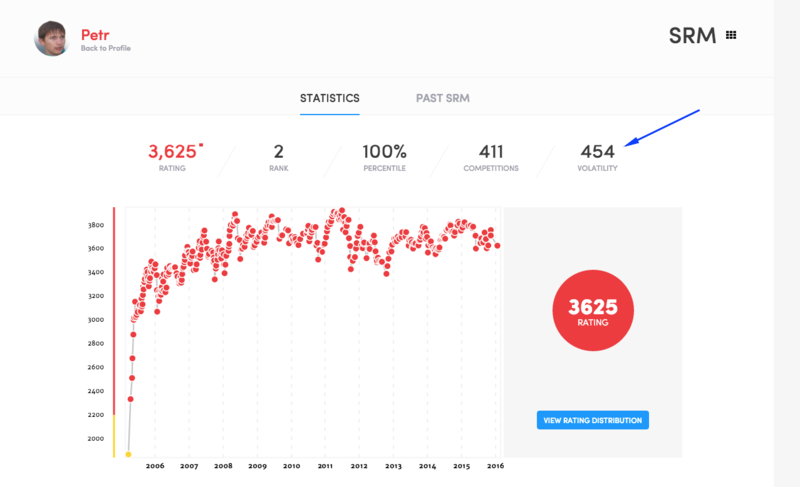 We set out last July to add 20,000 badged iOS members to our Topcoder Community of almost a million designers, developers, and data scientists, and we’ve made incredible progress towards that goal. 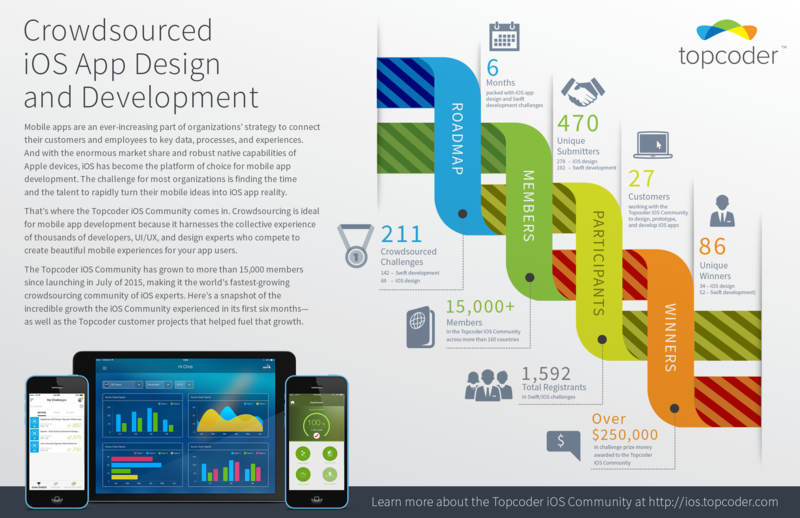 Today, the Topcoder iOS Community is comprised of more than 15,000 members from nearly every country in the world. And as illustrated by the infographic below, the iOS Community completed a lot of customer app design and development projects over the second half of 2015—and earned a ton of crowdsourcing prize money along the way. If you’re interested in learning more about Swift/iOS app design and development, I encourage you to join the Topcoder iOS Community. We have lots of resources to help you get started, and there are always new challenges available for you to try your hand. For example, participate in one of our fun Show Your Skills challenges for a chance to test your expertise and earn the Swift/iOS Ready! badge. If you want to leverage the power of the Topcoder iOS Community to turn your mobile idea into iOS app reality, check out Topcoder Connect — a simple, self-service site that lets you tap into the power of the iOS Community to create beautiful design mockups, prototypes, and production applications.